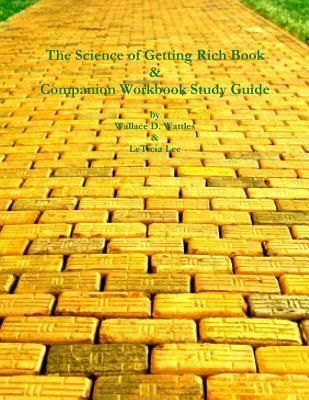 Welcome to The Science of Getting Rich Book & Companion Workbook Study Guide. This is a modern power packed immersion course designed for you to maximize the benefits derived from the timeless 1910 classic, by Wallace D. Wattles. There is a science to getting rich and it is an exact science. Read the entire book. Complete the workbook exercises. Answer the questions at the end of each chapter. Take notes as you progress. Record your progress. Set new goals. Continuously improve yourself and your surroundings. *"Complete book and workbook study guide included.